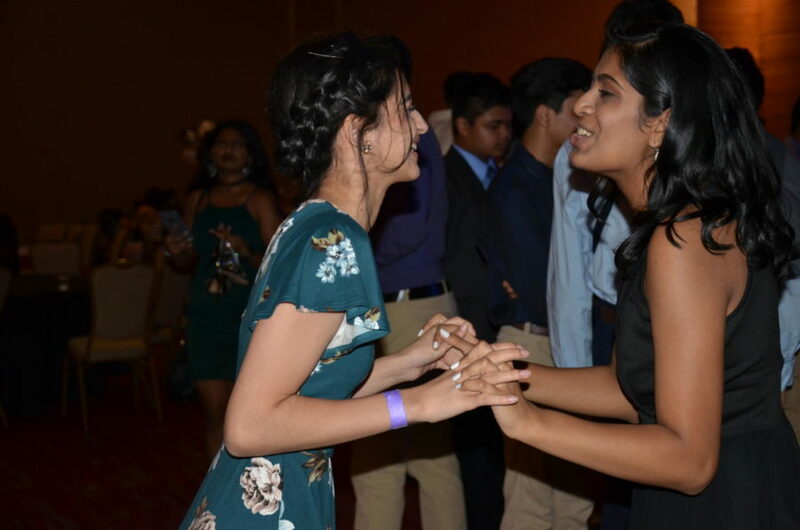 Coppell juniors Amsah Rauf and Mansi Patel sing and dance together at Coppell High School’s annual homecoming dance on Saturday night at Irving Convention Center. In the week leading up to the dance, there are numerous traditions in CHS, including spirit week and mums and garters. 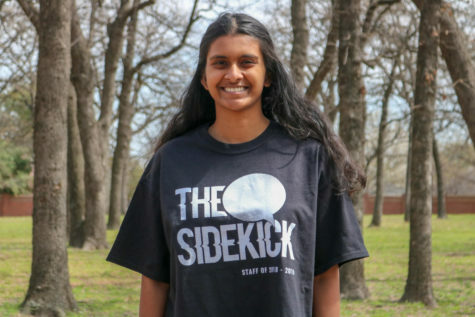 IRVING – Throughout the last week, Coppell High School has been promoting homecoming; on Saturday night at the Irving Convention Center, the pinnacle of all the hype took place – the dance. Upon arrival, attendees checked in with chaperones and received a wristband for identification. Although the dance officially started at 7 p.m., students filtered in and out of the building, arriving and leaving at various times. However, students were restricted from re-entry after leaving once. For students who did not previously buy tickets, the cost to buy them at the door was $40. 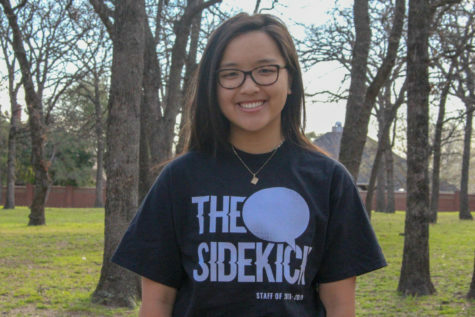 “[The price] is pretty reasonable, because there’s a lot of things the school has to pay for to fund the dance,” CHS9 counselor Jayla Maehs said. The Irving Convention Center provided a vast amount of space, so there were no issues with overcrowding, even though far more students attended this year than last year. Decorations were simple but elegant, with balloons and mini lights around the entrances. An abundance of desserts were offered throughout the event: brownies, assorted freshly baked cookies and gourmet cupcakes. All snacks were free of cost. Most of the songs played were at least a couple years old. A variety of genres were featured, from Ed Sheeran’s “Perfect”, to “Hit the Quan” by iloveMemphis and “God’s Plan” by Drake. Many students flocked to the high-quality photo booth at the event. Once photos were taken, they could automatically receive them by a separate text sent to their phones.